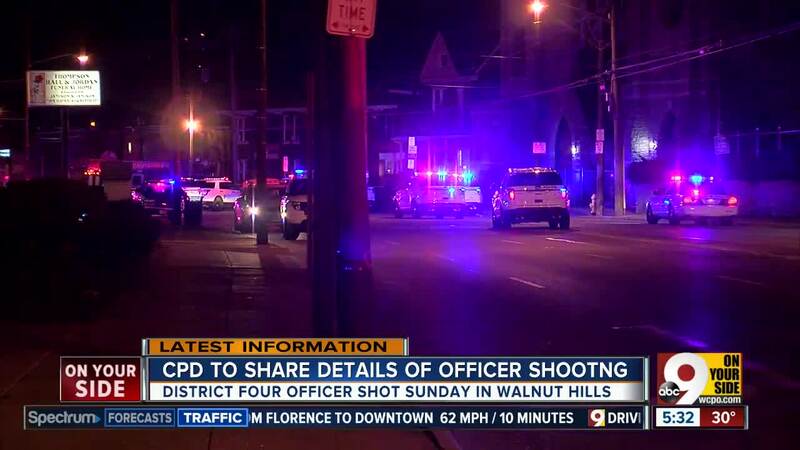 CINCINNATI – Cincinnati Police Department named the suspect accused of shooting a Cincinnati police officer early Sunday in an exchange of gunfire in Walnut Hills. Police said Damion McRae, 37, shot a District Four officer and was wounded multiple times by the officer's return fire outside a Gilbert Avenue apartment complex between Taft Road and Lincoln Avenue. Court documents show McRae has a long criminal record. He was most recently sentenced to probation for trafficking heroin, fentanyl and cocaine a few months ago in 2016. He was convicted of trafficking cocaine in 2003 and 2006 and sentenced to prison. He was convicted of trafficking marijuana in 2008 and was sentenced to community control. But he violated the conditions and was sent to prison. 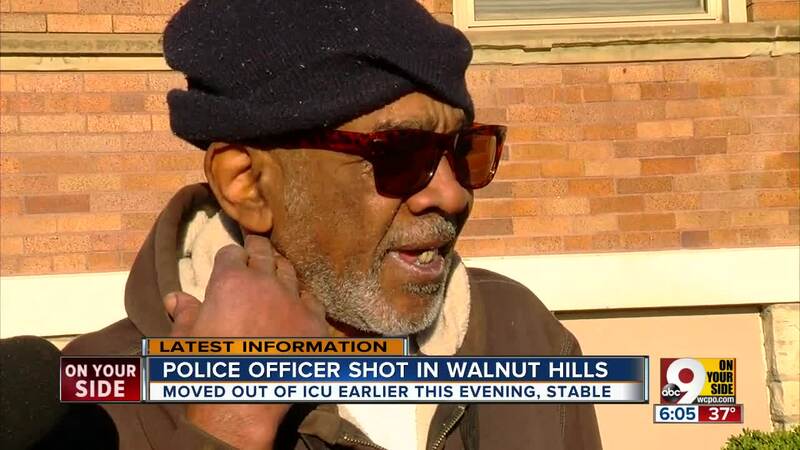 The officer, who has not been named, was shot once. He was responding to a domestic violence call, police said. Injuries to both men are not life-threatening and both underwent surgery at University of Cincinnati Medical Center, according to police. 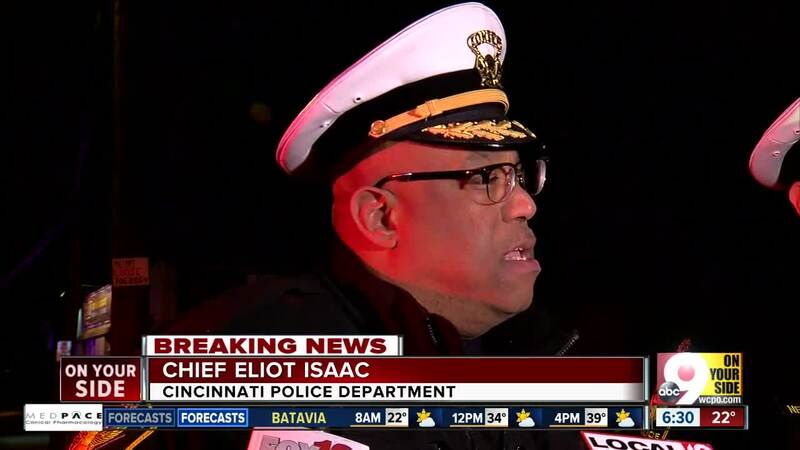 Chief Eliot Isaac speaks to the media. Sgt. Dan Hils, president of Fraternal Order of Police Local 69, said the officer had been released from the intensive care unit and was in a regular room before noon. 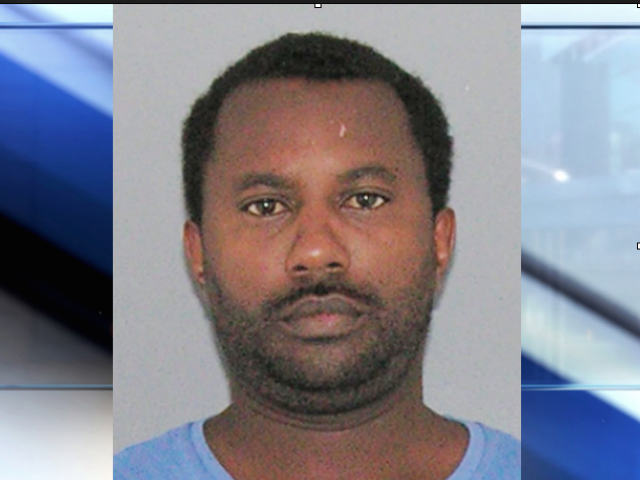 Neighbors told WCPO the officer was shot in a courtyard and never made it inside the home. Police Chief Eliot Isaac also said officers encountered the suspect in the courtyard, where they exchanged gunfire. Ernest Jenkins, a longtime resident of the building, said he was watching TV when he heard gunshots, then police ordered someone to put a weapon down. Jenkins said a man standing opposite officers didn't comply. Then, Jenkins said, more gunfire. "Boom, boom, boom, boom, boom, boom, boom. Two distinguished sounds of weapons," he said. "I figured that was two guns. I didn't know for sure." He and his 89-year-old mother stayed safe, and Jenkins said he's glad both the officer and suspect are expected to recover. "By the grace of God he's all right. Both of them's all right. But like I said, my mother's lived here 40 years, and nothing like this has ever happened." Police investigate shootings on Gilbert Avenue. Isaac was at the scene Sunday morning. "There will be a series of interviews of any potential witnesses, the officers involved. We'll examine the evidence here on the scene and any other thing that may be pertinent to the investigation," Isaac said. Gilbert Avenue was closed between William Howard Taft and Martin Luther King Drive until nearly 9 a.m. 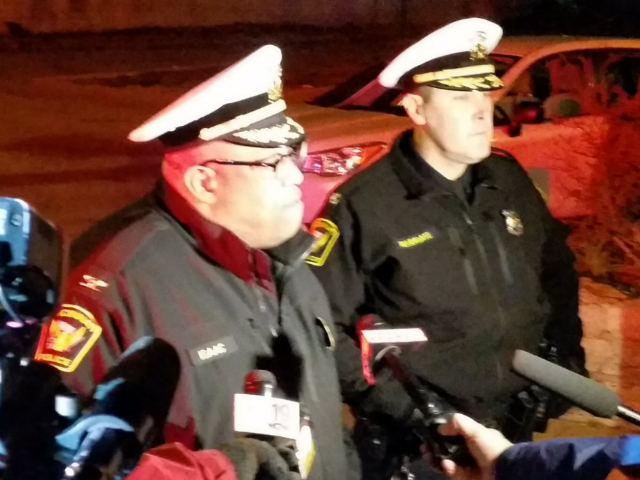 The last Cincinnati officer shot and killed was Sonny Kim , who was ambushed on a Madisonville street on June 19, 2015. Kim's killer, TrePierre Hummons, was then shot and killed in a gunfight with Spec. Tom Sandman.